If you never read any thing I post read this. James “J Dilla/Jay Dee/Dilladawg” Yancey born Feb 7th 1974 died Feb 10th 2006. You know practically every person will have a line like the above one. Not many of us will do with 32 years what he did and mean so much to so many people. My man Mahdi Mad Saoula put this up on Facebook this past Sunday. It is by far the best single writing on J Dilla I have ever read. I will take the liberty of posting it. I did not write it. I just really really wish I had. Longtime listeners of my show remember when I would start off every show with a Dilla Instrumental. Or how many times I said I wanted to do a Dilla show but couldn’t. One, due to the emotional weight it would have on me and two, I could never do J Dilla justice. What I will do however, is treat you to this amazing piece of writing and my 10 Favorite Dilla Productions of All Time. Thank you for observing the Fourth and Final Day of The Four Days of Dilla with me. I can’t think of anybody I would rather share this with than you…. J Dilla had a lot of fans in high places. “I aspire to be as great as him,” Pharrell said. and he did just that until the day he died. for a Detroit group called the Ivies. Jay was born with music in his blood. Altogether, Jay learned some 20 different instruments, from drums to cello. But he loved listening to music even more than he loved playing it. pants and he would spend maybe 20 minutes on one pant leg,” his mother laughed. Perhaps because of those idiosyncrasies, James was a loner who rarely said much. that,” remembered RJ Rice, a Detroit producer, manager and record label owner. mentored Dee, considered it a testament to his happy upbringing. top local hitmakers at the time. “I was surprised it was tight,” Fiddler said. records and reconstructing them into unrecognizable tracks. “Once he learned how it was done, I would see him smiling every day,” Amp said. record collection, he brought new sounds into hip-hop, from jazz to soul. came to beats, ’cause he played all sorts of genres: rock, techno, R&B. Baatin. He shopped their demos around to labels, but no one bit. behind the last two Tribe albums. unique blend of R&B and hip-hop. Yet as his star rose, Jay retreated even further behind the scenes. who occasionally went by Dill. “I said, ‘Why would you change it? You were there first,’ ” his mother recalled. to his friends and family. worked with local rappers for a few hundred bucks. on his Stone’s Throw Records. they didn’t know what was going on,” she said. TTP, or thrombotic thrombocytopenic purpura. 2003 collaboration with California rapper/producer Madlib under the name Jaylib. success wasn’t as important to him as being creative,” Peanut Butter Wolf said. Jay was surprisingly prolific even though his health continued to diminish. and his kidneys often shut down, resulting in extended hospital stays. in 2004. “He was a real soldier when it came to that. I would’ve been petrified. he built in his Los Angeles home, which he shared with rapper Common. embark on European solo tour and performed in a wheelchair. of a donut in honor of Jay’s Donuts album, which was released that day. Bobo and Maureen realized he had passed away. He was just 32.
attended by nearly every artist he’d ever worked with, and many more. Raaka commented a few days after. work right there and use his equipment with his blessing,” she said later. Jay is survived by two daughters, but he never married. know, I like to bowl, dance, but he was totally about the music, 100 percent. Thank you for reading this post. 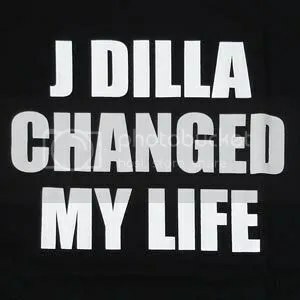 J Dilla changed my life. After reading this even if he hasn’t changed yours, I hope it has at least touched it. Thank you EVERYONE that observed The Four Days Of Dilla with me. If you didn’t pick up where I left off. Learn about the man and his music Born Feb 7th 1974 Died Feb 10th 2006 His Music will live for an eternity. As Erykah Badu says on her song The Healer “This one is for Dilla…” Each One Teach One. ~ by Professor Mike on February 10, 2010. Man, I owe you for turning me on to “Baby” so thank you. Great tribute.